A landslide is the movement of a mass of rock, debris or earth along a slope under the influence of gravity. Landslides pose serious threats in many areas of the world, and knowing their location, distribution and classification is important for land use planning. Landslide identification and mapping is a fundamental activity for an effective defence from the damage caused by landslides to the population and to structures and the infrastructure. 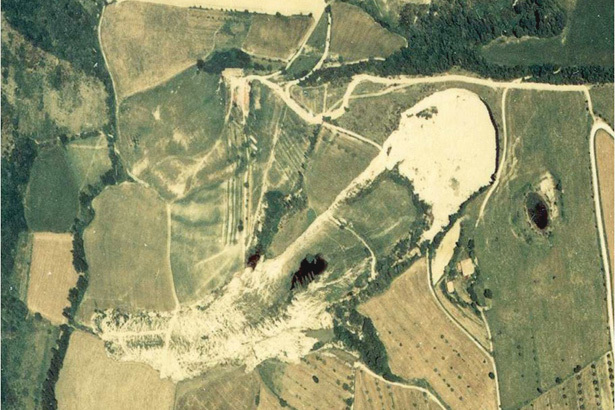 Interpretation of stereoscopic aerial photographs (aerial photo-interpretation, API) is one of the most common techniques for landslide identification and mapping. API allows to detect subtle topographical variations produced by a landslide, thanks to the three-dimensional view of the topographic surface. API is an intuitive technique that can be adopted using relatively simple and inexpensive instrumentation, such as a stereoscope (Figure 1). On the other hand, API requires expert operators (photo-interpreters) with a consolidated geological and geomorphological background. 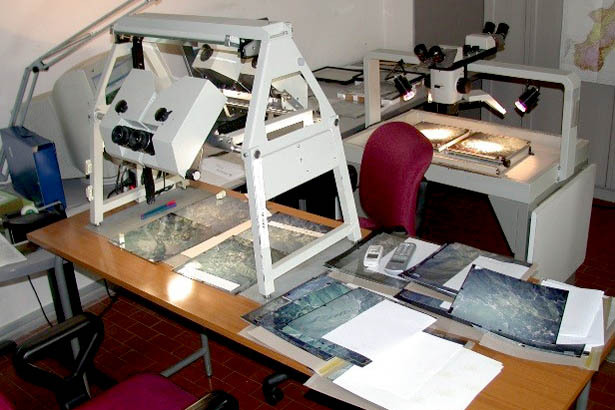 To map landslides, a photo-interpreter uses photographic (tone, texture, pattern), and morphological (shape, size, curvature, slope) and photo-geological (lithology, bedding attitude, structural discontinuities) indicators. Depending on the study area, identification of these indicators can be a relatively simple or very complex operation. Analysis of photographic indicators is sufficient to identify and characterize the landslide shown in Figure 2. The light tones are simple to interpret as areas where the vegetation cover was depleted or damaged by the landslide. 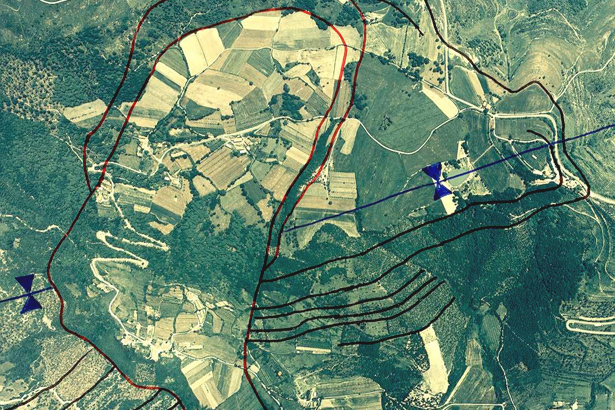 Road blockages and modifications in the regular pattern of cultivated fields are evident anomalies in the land cover pattern, and evidences of the landslide. 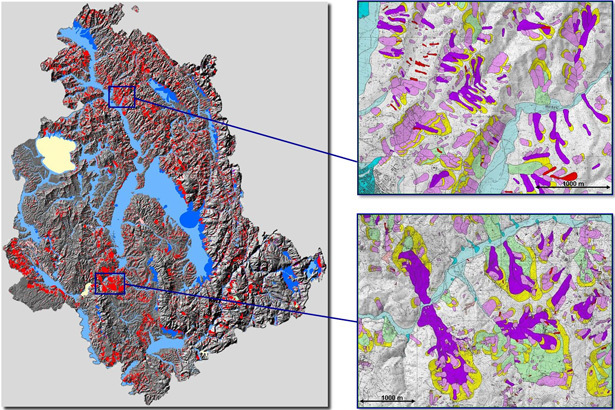 On the contrary, landslides similar to the one shown in Figure 3 can only be mapped through the combined analysis of morphologic and photo-geologic indicators. Three-dimensional stereoscopic vision allows the identification of morphologic features such as escarpments, concavities and convexities typical of a landslide. 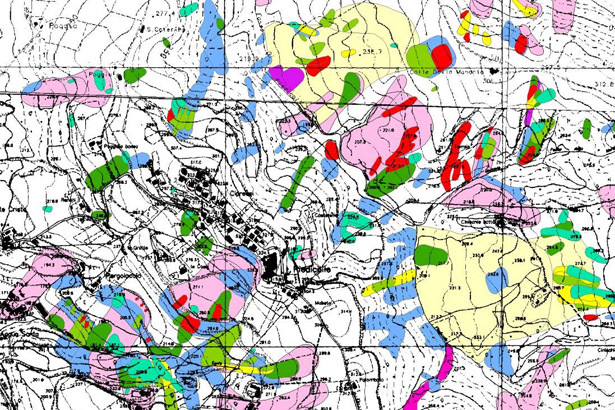 Besides, a photo-geological indicator is represented by the interruption of the lateral continuity of the bedding, which provides a further element for a correct characterization of the landslide. Landslide inventory maps provide information on the location and distribution of all the landslides that have left discernible features in an area. Most landslide inventory maps are prepared through the visual integration of the interpretation of one or more sets (flights) of aerial photographs, aided by more or less extensive field checks. Obtain information on the distribution of the landslides occurred in hundreds or even thousands of years in large and very areas (e.g., a river catchment, a region). Figure 4 shows an example of a geomorphological landslide inventory map. In the map, different colours show different landslide types. Evaluate and measure the effects of landslides triggered by a single meteorological or geologic event. 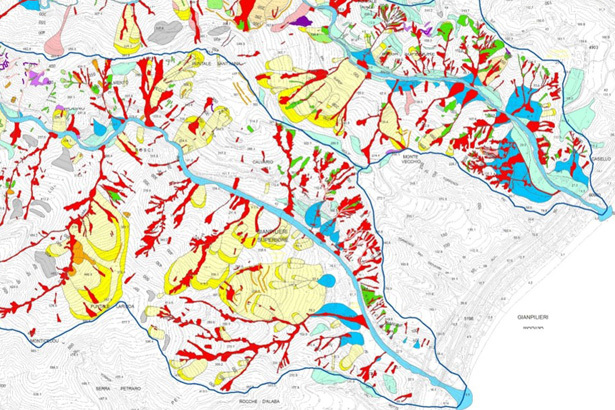 Figure 5 shows a portion of an event landslide inventory map, which allows for the comparison of the distribution of the landslides triggered by the event (red polygons), and the pre-existing landslides in the same area (yellow and blue polygons). Understand the temporal evolution of landslides during the last decades, over areas of tens to hundreds of square kilometres. Figure 6 shows a portion of a multi-temporal landslide inventory map. In the map, the different colours represent landslides occurred in different years, in the last 60 years.